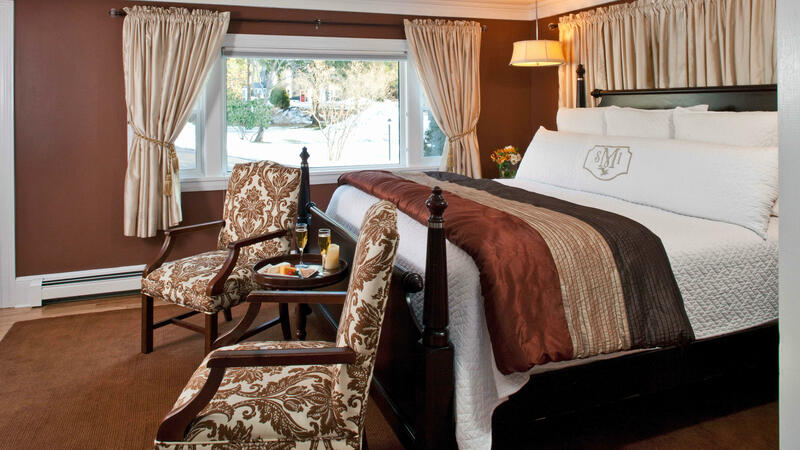 This warm and inviting cottage suite features a luxurious King bed and hardwood floors. 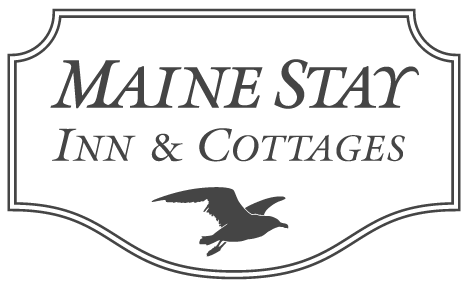 The sitting area is complete with a gas fireplace, cozy armchairs, a flat screen TV and an iPad docking station. 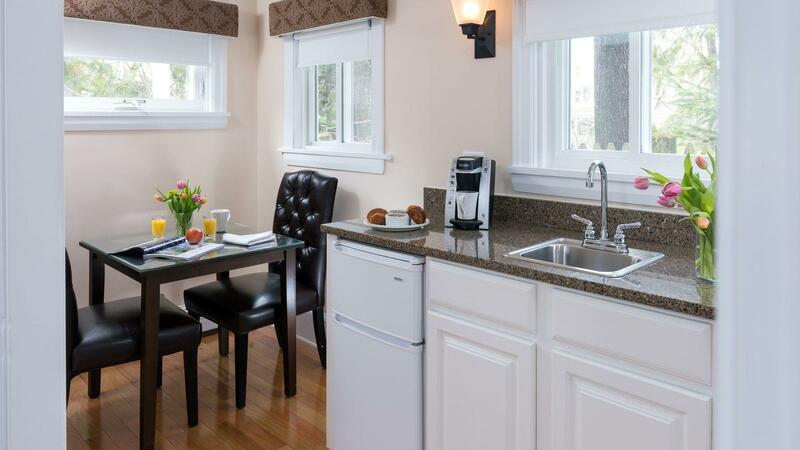 Also, the breakfast room is equipped with quartz counters, a mini fridge, microwave and a Keurig coffee maker as well as a table and leather chairs. 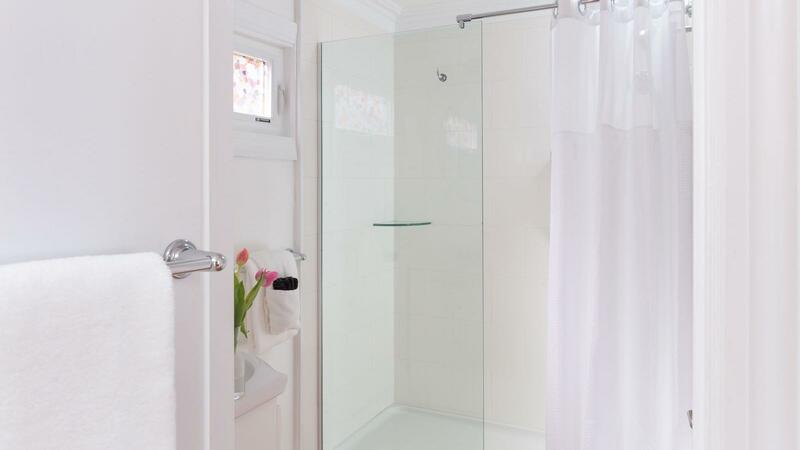 The private bath has a tiled walk-in shower with a glass wall. In addition, this suite features a Mitsubishi heating and cooling system for the ultimate comfort.